Antenatal care is methodical medical supervision involving check up and advice to a pregnant woman. The main purpose of antenatal care to ensure the secure pregnancy culminates in the delivery of a healthy baby. Antenatal care should begin soon regularly after the pregnancy. You should awareness with the pregnancy and get medicine and check up regularly. In the many cases the women’s come to the hospital only when they are in labour. The perfect antenatal care stops the maternal, neonatal mortality and morbidity to some extent. The objectives of antenatal care are: First the confirm pregnancy and expected date of delivery, identify high risk pregnancies, detect associated medical, surgical and gynecological disorders, screen for infections, etc. The several women have medical difficulties related to their health and their baby. Its women experience called high risk pregnancy. Existing health conditions, like high blood pressure, HIV positive, diabetes. The overweight and obesity of women be a high risk pregnancy. If obesity increases in the pregnant women them high blood pressure, gestational diabetes, preeclampsia, cesarean delivery and neural tube defects are can be increases in the women. Multiple births: In this factor baby can birth more than one. In the some complications include like premature labor, preterm birth and preeclampsia. Old and Young age: The age of women if 35 or over its increases the risk for the gestational high blood pressure and preeclampsia. A cesarean delivery is a surgical procedure in which a fetus is delivered through an incision in the mother’s abdomen and uterus. Ever wonder if there was any method of preventing pregnancies that was permanent? Well, there is. Called a tubectomy, this procedure is meant solely for women. In this post we bring you all you need to know about the procedure and what it involves. A tubectomy refers to the blocking or cutting a small portion of the fallopian tubes. These tubes are roughly ten centimeter long structures, present within a woman’s abdomen and are attached to either side of the uterus. They open into the uterus at one end and on to the ovaries at the other end. The main function of this tube is to carry the ovum (egg) – after it is released from the ovary – into the uterus to help it fertilize. During a tubectomy, the surgeon reaches the fallopian tubes by either cutting open the abdomen (open surgery) or using laparoscopic techniques (minimally invasive surgery). The tubes are then cut and ligated (tied) or a clip is placed, at one particular point, thereby stopping the passage of eggs into the uterus. This prevents the possibility of any further pregnancies. Tubal ligation or tubectomy (also known as having one’s “tubes tied”) is a surgical procedure for sterilization in which a woman’s fallopian tubes are clamped and blocked or severed and sealed, either of which prevents eggs from reaching the uterus for implantation. Tubal Sterilization is a permanent method of contraception where the fallopian tubes are blocked so that the ova or eggs are prevented from traveling to the uterus from the ovary. Tubal sterilization can be performed within 72 hrs of completion of a vaginal delivery. If it is performed at other times it is called interval sterilization. Tubectomy also referred to, as Tubal Sterilization is a surgical procedure done on women as a permanent method of contraception. 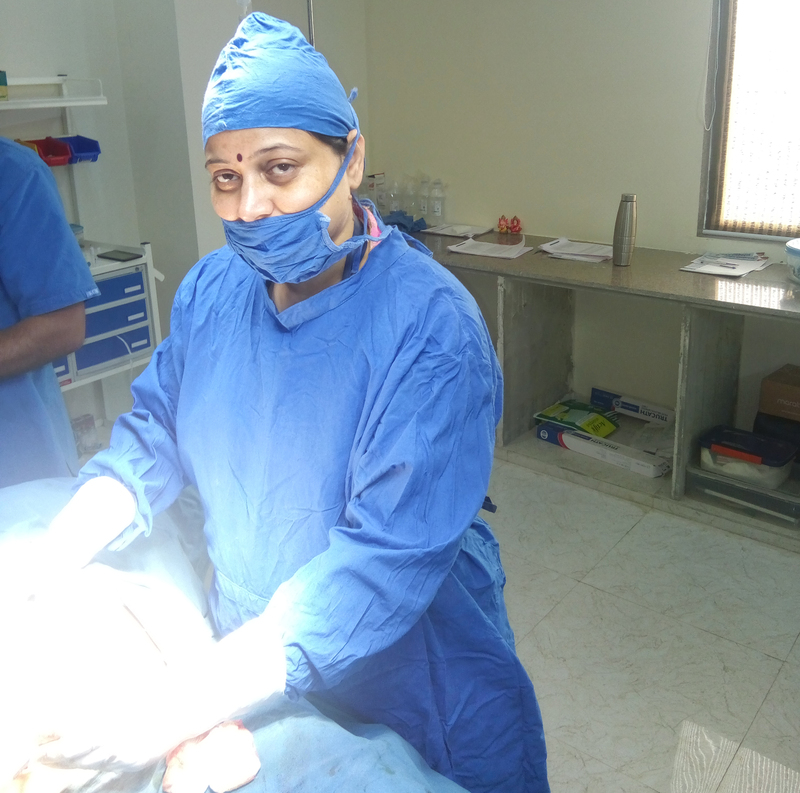 Gynaecologists, general surgeons and laparoscopic surgeons perform tubectomy. The normal ovary by nature is a partially cystic structure. Most ovarian cysts develop as consequence of disordered ovulation in which the follicle fails to release the oocyte. The follicular cells continue to secrete fluid and expand the follicle, which over time can become cystic. Ovarian cysts are quite common and involve all age groups, occurring in both symptomatic and nonsymptomatic females. Adhesiolysis, also called lysis of adhesions, is a treatment used to break up and eliminate scar tissue along the spine. If left untreated, this scar tissue can cause pain and inflammation. This treatment is considered minimally-invasive and can be used to help treat chronic pain and inflammation that is a result of not only scar tissue build-up but also nerve root damage that can result. Office hysteroscopy is advantageous both to the patient and the physician. For the patient it is little more than an extended office visit, usually providing a prompt diagnosis to a problem. 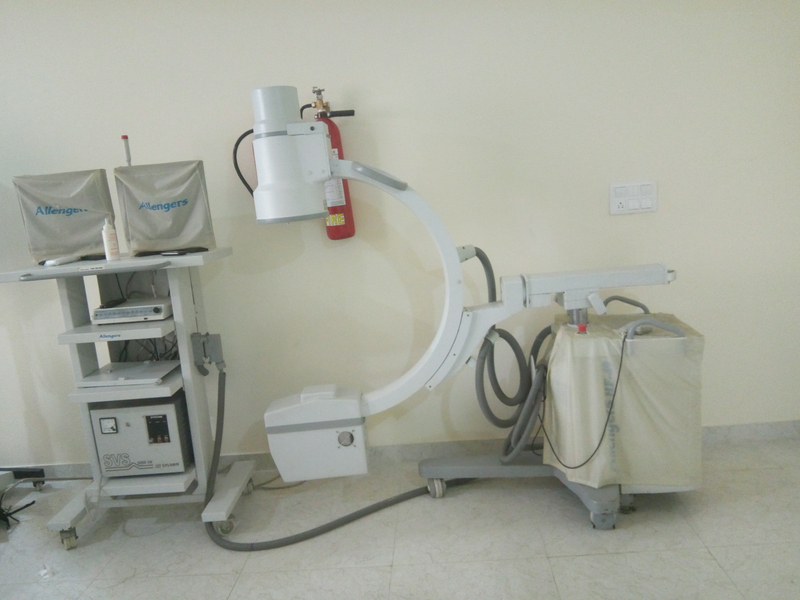 Diagnostic office hysteroscopy is a safe procedure, with few significant complications, and the patient can resume normal activities immediately. Savings in terms of physician time average one to two hours when compared to a hospital D&C. These savings occur primarily as a result of minimal office preparation, decreased turnover time between procedures, no anesthesia, and no commute between the hospital and office. With the current focus on cost containment and patient demand for minimally invasive techniques, it is anticipated that there will be an increased motivation in the office-based gynecological practice to substitute a less expensive and more effective therapeutic procedure, such as office hysteroscopy, for the routine surgical D&C. 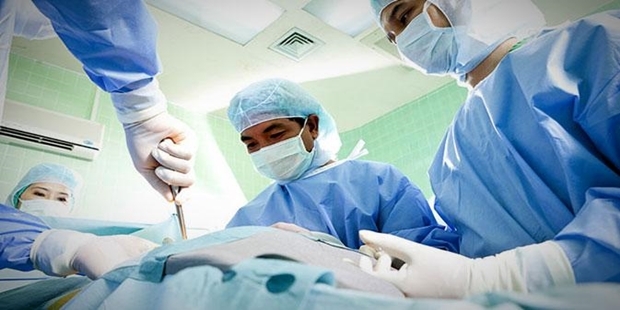 Resection is the medical term for surgically removing part or all of a tissue, structure or organ. A resection may be performed for a wide variety of reasons. A resection may remove a tissue that is known to be cancerous or diseased, and surgery may treat or cure a disease process. One very common type of resection is a small bowel resection, a procedure where one or more segments of the small intestine is removed. For people who are experiencing colon problems in a specific area of the intestine, removing that area may make it possible for the colon to function normally after the healing process is complete. The removal of endometrial or cervical polyps is a relatively simple procedure. Some cervical polyps are completely seen outside the cervix and can be removed in a doctor’s office or surgery with an instrument called a polyp forceps. Endometrial polyps and deeply inserted cervical polyps require a hysteroscopy. A polyp is a small lump or nodule that grows in some parts of the body. What defines a polyp is that it grows away from the organ where it originates from, usually on a small pedicle or stalk. Nodules on the other hand tend to grow within the organ where they originate. Cysts are particular types of nodules filled with fluid. An endometrial polyp as the name says originates from the endometrium, the tissue present inside the uterus. Endometrial polyps grow inside the uterine cavity. A cervical polyp grows from the epithelial cells of the cervix and usually can be seen outside the uterus at the tips of the cervix. The foetal monitoring is the process used to determine the rate and rhythm of the foetal heart and assess the fetus health. Foetal monitoring generally used to during the late pregnancy and labour. Foetal heart rate has been 110 and 160 beats per minute. The foetal hear monitoring includes internal or external monitoring process. In this procedure the patient will lie on the labour bed with supported fee and legs of the patient. The doctor will check vaginal exam if the cervix has sufficing dilated. External Foetal Monitoring monitors find the heart beat of the baby by an ultrasound disc. Doctor placing gel on the mother stomach and round the ultrasound disk on the mother stomach and takes the details of heart beat of baby. 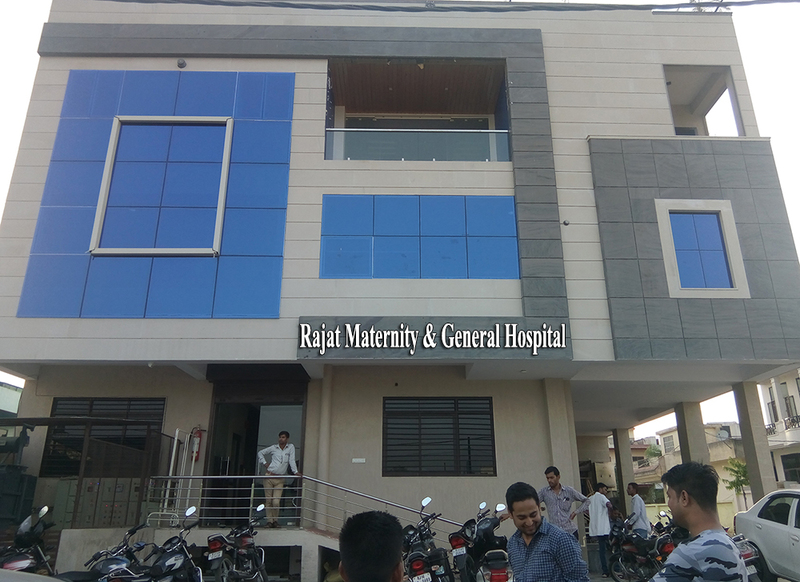 Rajat Maternity & General Hospital provides facility of 24X7 hours emergency services. 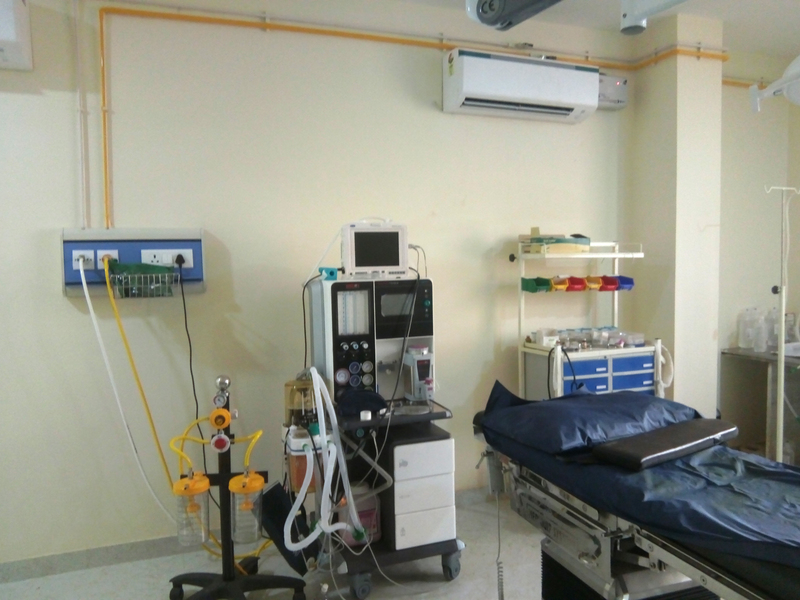 The hospital placed on Devi Nagar, Sodala Jaipur. 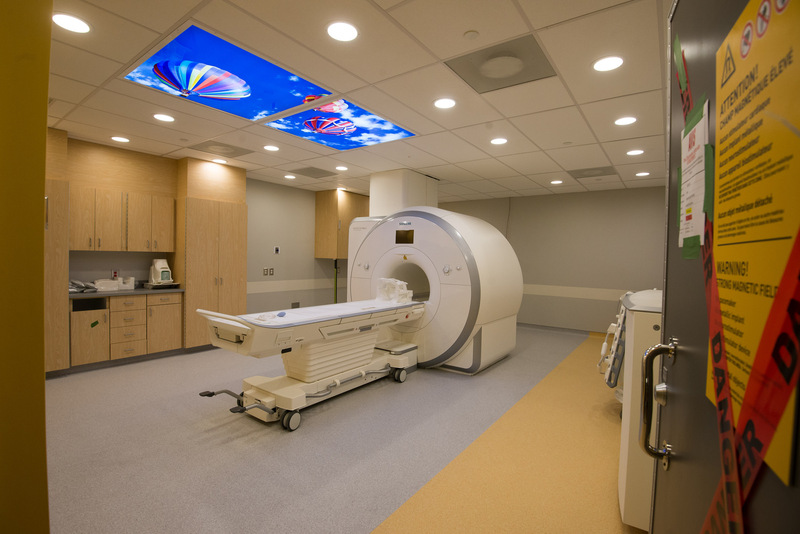 Rajat maternity have well equipment emergency and maternity center with fully space and experienced, well qualified doctor’s team. Our hospital emergency team always ready for the patient care services. 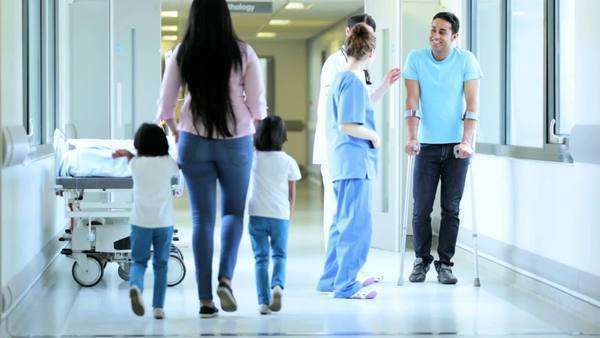 Hospital gives facility of medicine on the medical store for 24 hours. 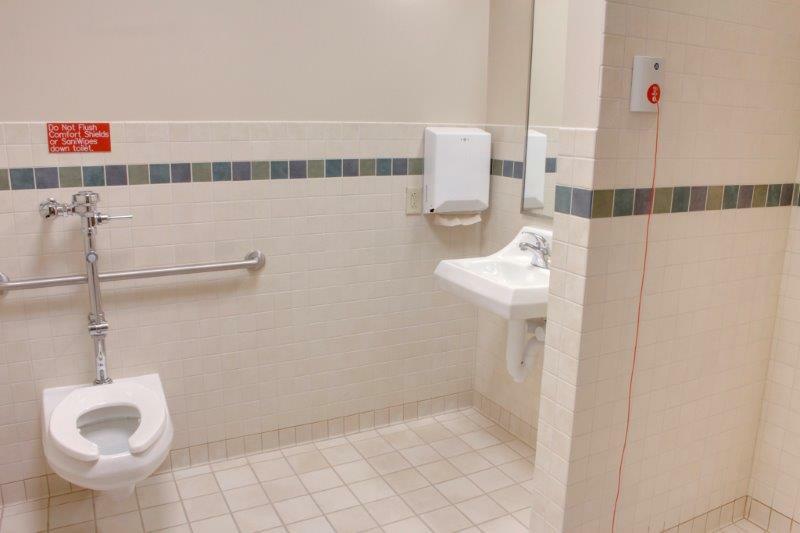 Our services are cheaper and fully satisfactory for the patients.